During the month of Ramadan Muslim followers are expected to not eat, drink, smoke or have any intimate relations between the hours of sunrise and sunset. As many Gulf countries are now popular holiday destinations for many western tourists, people who are not observing this holy time are being requested to be respectful to those who are marking Ramadan and to behave accordingly. Of course it is not only holidaymakers who find that they stumble across holy festivals such as Ramadan when they are in the Gulf but expats who live in that area also find that it affects them as well. The importance of Ramadan is such that one language school in Dubai is offering a free “Ramadan etiquette” course for non-Muslim expats, in order to try and get the importance of the religious significance across to people who do not belong to the religion. 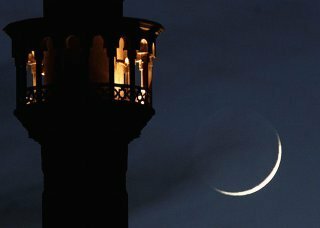 As well as this a number of media publications are also putting their names to guides in an attempt to help expats navigate through the maze of religious symbolism that is Ramadan. Some western embassies have also started to release guidelines for those who are living in Muslim areas. It is important that rules are adhered to as not only can it cause offence amongst locals but expats can also find that they receive a fine for improper behaviour. Kwintessential also have their own Ramadan Guide for the Workplace which is more UK centric.